1) My story on Bob McKillop and the masterpiece he has painted with the Davidson Wildcats can be found here. One random fact I didn't know about McKillop until we did the interview for this story: he went to high school in New York with Bill O'Reilly, now a celebrity TV host for Fox News. McKillop said O'Reilly's personality has basically not changed at all from then until now. 2) Mark your calendars for Tuesday, March 17 from 11 am to 1 pm. 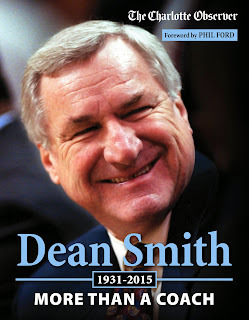 At that time, The Observer is going to have a book launch for our new book celebrating Dean Smith's life. 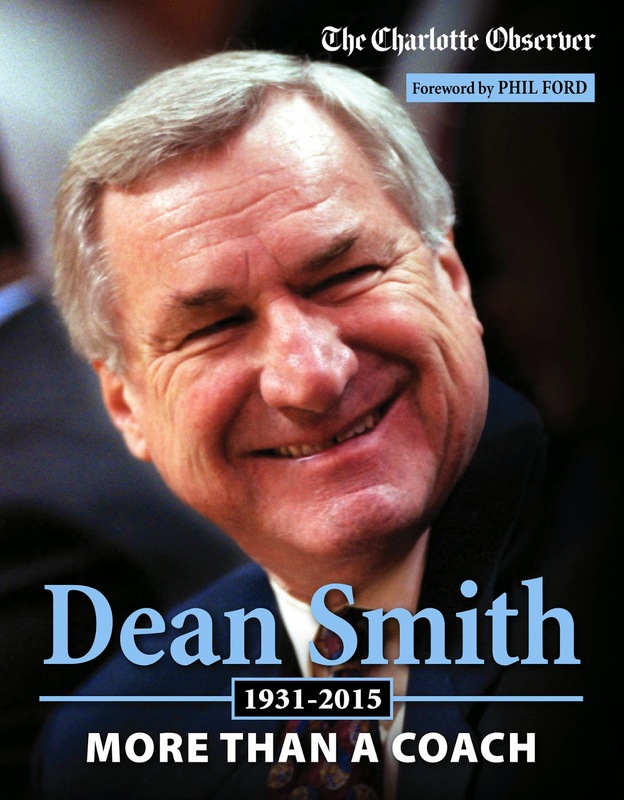 "Dean Smith" More than a Coach" is a 128-page book containing photos and stories from 50 years of The Observer's coverage of the man who was coach of UNC from 1961-97 and who passed away in February. Ron Green Sr., Ron Green Jr. and myself -- who all contributed stories to the book -- will all be there in The Observer's lobby (600 South Tryon Street) for those two hours to sign books and chat with UNC fans. The book is $14.95 and a portion of the proceeds for all books sold that day will be donated to the Dean E. Smith Opening Doors Fund at UNC. 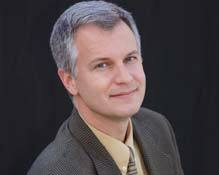 3) If you entered my writing contest in honor of this blog hitting the 5 million mark, thanks so much. I got a lot of great entries and am sorting through them all. Winners will be announced by or before Wednesday, March. 18th. 4) OK, quick New York story. I love New York, but sometimes you just have to shake your head at it. I arrived at LaGuardia Airport Thursday and needed a ride to Manhattan. Hopped in a cab. The driver drove like most New York cabbies do -- badly, in other words -- but I didn't notice too much because it was so common. However, he made the bad mistake of cutting across four lanes of traffic with no turn signal in front of one of NYPD's finest. So here came the blue lights, and the siren, and the cab had to pull over. You better believe he used the turn signal that time. The policeman came to the car, got the cabbie's license and registration, had him roll down the back window and apologized to me like this: "Sorry for the delay sir, but this man has your life in his hands, and he's being very careless with it." Ten minutes later, the cabbie had a ticket. "I'm giving you one, but you should get four," the cop grumbled. And here's the best part: For those 10 minutes while we were stopped in that yellow cab on the side of the road, both of us annoyed for different reasons, the cabbie never apologized for our delay. Never spoke a word, in fact. But, until I noticed and pointed it out, he kept the meter running.